Pros: The Black Edition Pedal Go-Kart is great for ages 5 to adult and has adjustable seating making it easy for any size to ride. 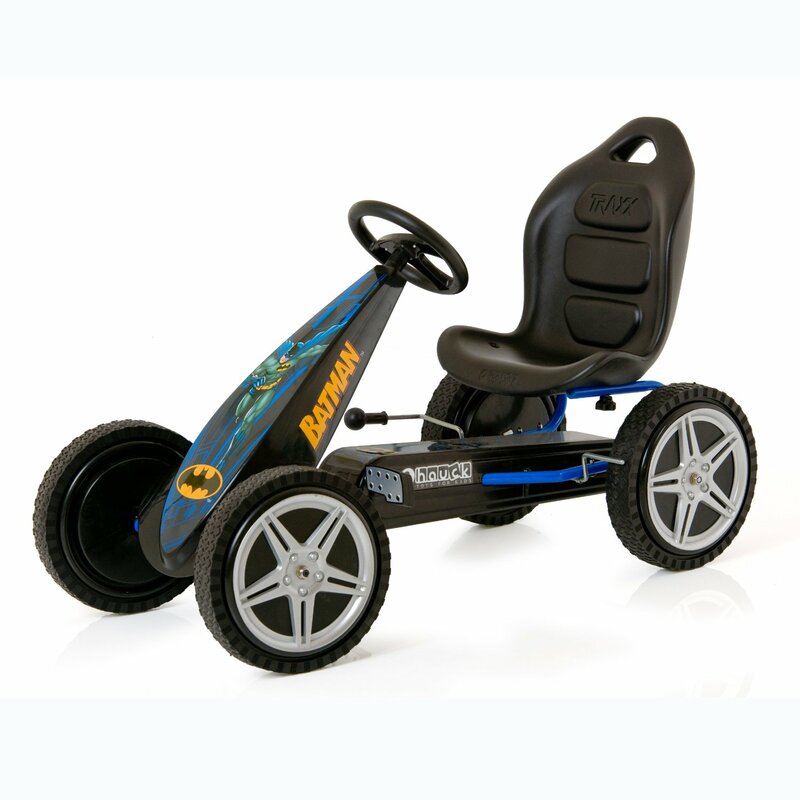 The Black Edition Pedal Go-Kart is the premiere toy for children, adults, and family and with the robotic welds with sealed bearings your Go-Kart will be rolling easily for years and years. 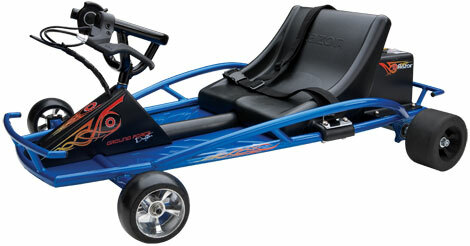 The go kart is very durable since it is only made from the toughest steel tubing and coated paint. You also have the option to pedal both forward, backwards, coasting, and have a handbrake for optimal stopping power for both wheels. The Black Edition Pedal Go-Kart works on any terrain making it easy to go on dirt, lawn, sidewalk, or wherever the adventure may take you! No worries, with this parking brake. Cons: Some things to keep in mind is this Black Edition Pedal Go-Kart is a single speed and created that way for every rider’s safety. 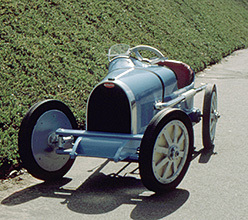 It is also not designed to go uphill or downhill, since it is a single speed. If you are looking for something to race or switch speeds rapidly, this may not be the best option for that need. 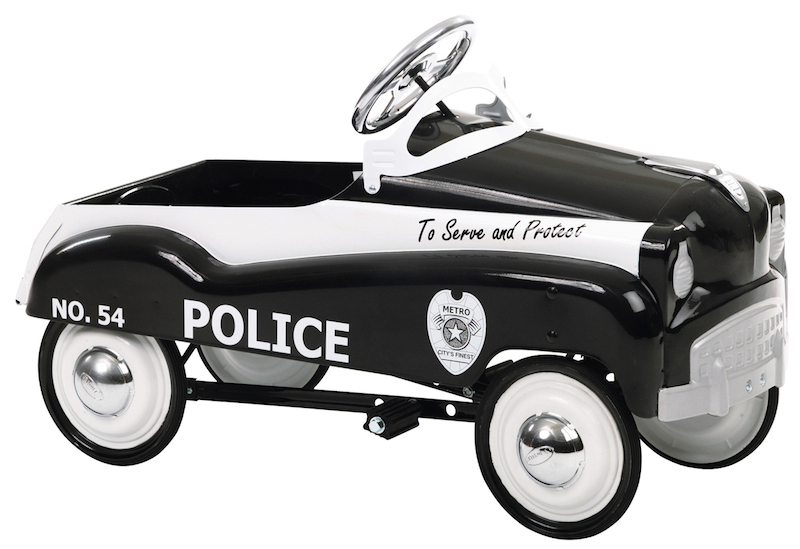 Are you looking for the perfect toy for your family to enjoy? 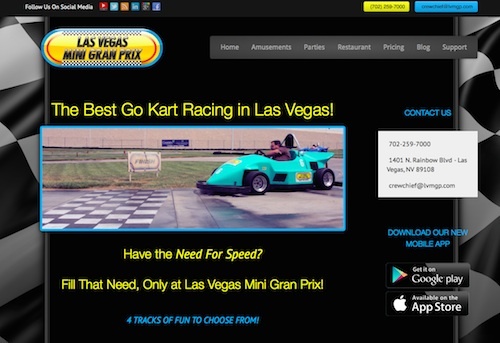 Look no further than the Black Edition Pedal Go-Kart. 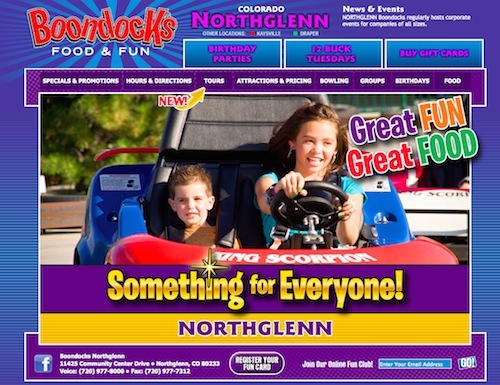 This Go-Kart is the top notch choice for fun and is designed for riders from the age of 5 through adulthood. 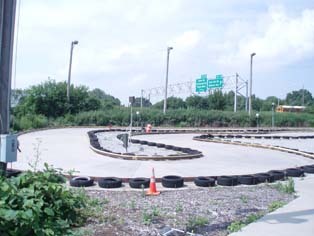 The Go-Kart has many unique features making it fun no matter the terrain and always very safe. The Black Edition Go-Kart will bring adventure to any person looking for it and will bring excitement to the whole family. 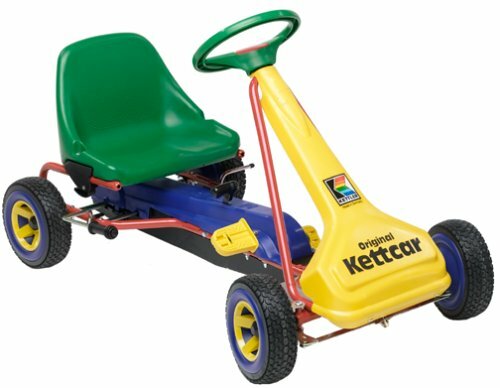 The Pedal Go-Kart is large enough for adults and can be easily adjusted to fit children’s heights and needs. 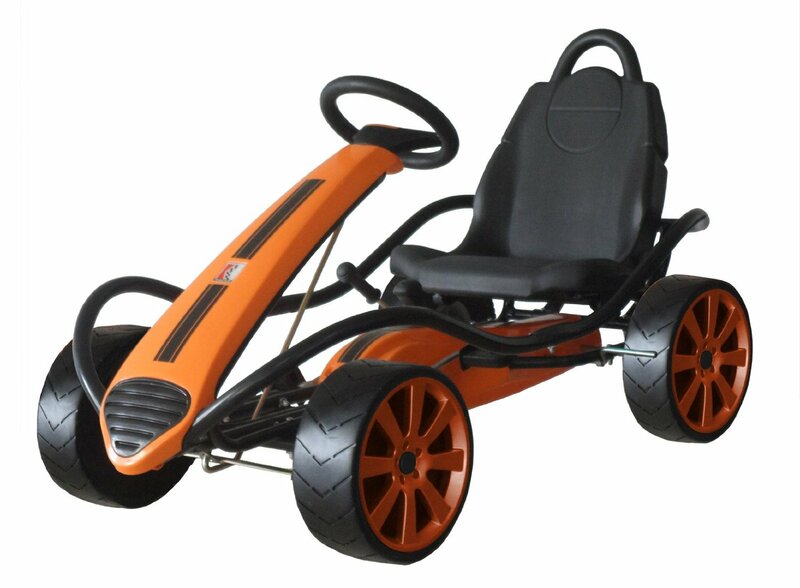 The Pedal Go-Kart is 60 inches (depth) by 32 inches (wide) and 34 inches (height). It also only weighs a slim 103 pounds but can hold almost 300 pounds for riders. It is made from steel tubular frame with has a powder coating of black paint, which adds a cool design and extra durability no matter the years or conditions. The tires are custom made Pneumatic tires and have very sharp and stylish black rims. The steering wheel also reflects the black color along with the seat covering. There is an extra-large front flaring and the automatic freewheel lets the driver be in control. Whether you want to pedal forward, coast using pedal static, or drive backwards you can with the Black Edition Pedal Go-Kart. The Black Edition Pedal Go-Kart also has a handbrake which stops any person on the go right in their tracks because it causes break power to both wheels at the same time. 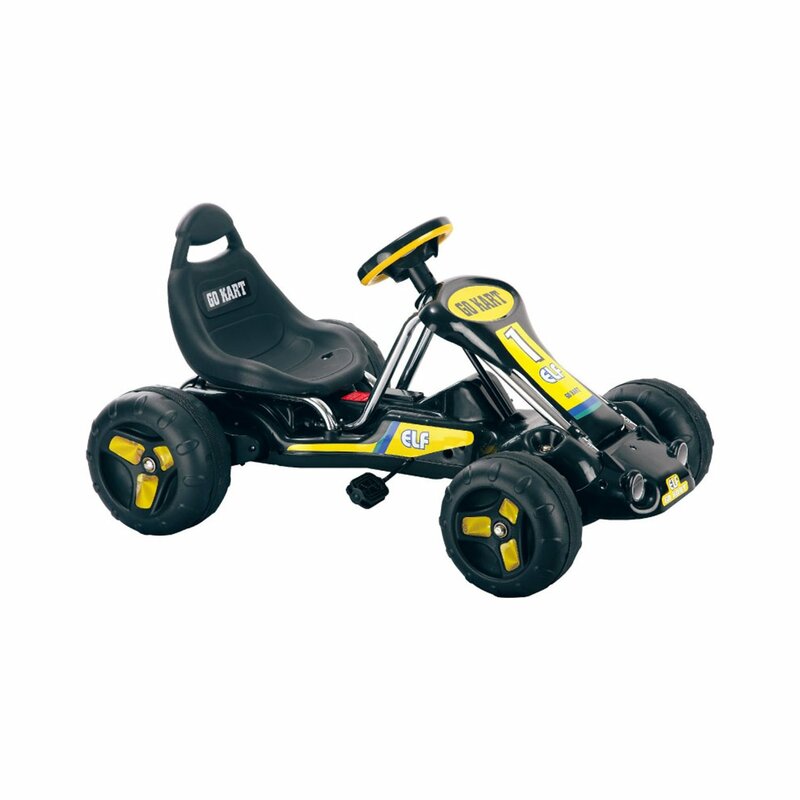 No worries about rolling away with this Berg Black Edition Pedal Go-Kart! It features a top of the line parking brake which is great to be locked into place. The Swing Axle allows for pivoting action and control even on the most uneven surfaces you may want to ride. 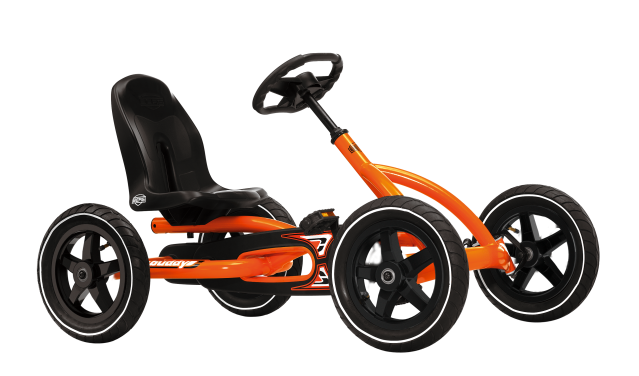 The Berg Toys Black Edition Pedal Go-Kart is the toy for the whole family. Not only is made strong, will last many years, but it is safe and will add adventure to not only the children’s playtime but the adults’!